As Under Armour continues to place connected footwear at the forefront of their innovation pipeline, they introduce the new wearable, a trio of smart running shoes. Good things can come in three, and in the case of Under Armour they are UA SpeedForm® Gemini 3 RE, UA SpeedForm® Velociti RE, and UA SpeedForm® Europa RE. The new wearables are the brand’s latest collection of running shoes designed to provide runners with the digital tools needed to understand recovery and ultimately maximize performance. So who are Under Armour? They are “the originator of performance footwear, apparel and equipment”. They are the brand famous for revolutionizing how athletes across the world dress, case and point Dwayne Johnson AKA the Rock, who is an ambassador of the brand. Sold worldwide to athletes at all levels, Under Armour Connected Fitness™ platform also powers the world’s largest digital health and fitness community through a suite of applications: UA Record, MapMyFitness, Endomondo and MyFitnessPal. 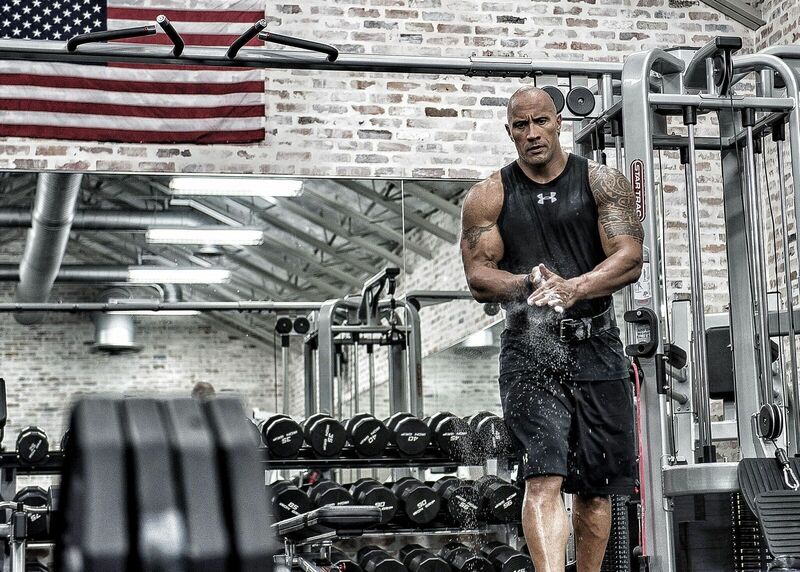 Dwayne Johnson AKA the Rock, ambassador of the UA brand. Now following in the footsteps of their successful launch of the UA SpeedForm Gemini 2 RE, released earlier this year, we are happy to confirm that you can expect a lot more from their latest line of connected footwear. This is definitely great news for those looking to invest in a pair of Under Armour’s running shoes. They can look forward to enjoying the kind of construction that ensures a great fit, Charged Cushioning® that will improve responsiveness and durability (UA SpeedForm® Gemini 3 RE), blown rubber under the heel to help absorb ground contact (UA SpeedForm® Europa RE) and an embedded sock liner for support and seamless comfort ( UA SpeedForm® Velociti RE). What we love about Under Armour’s three unique styles is that each shoe has a design feature that will benefit the wearer. For example, the UA SpeedForm Velocity RE is the perfect training partner for those wanting to run faster and the UA SpeedForm Gemini 3 RE and UA SpeedForm Europa RE will easily complement those who want a pair of shoes that they can wear on a long run. 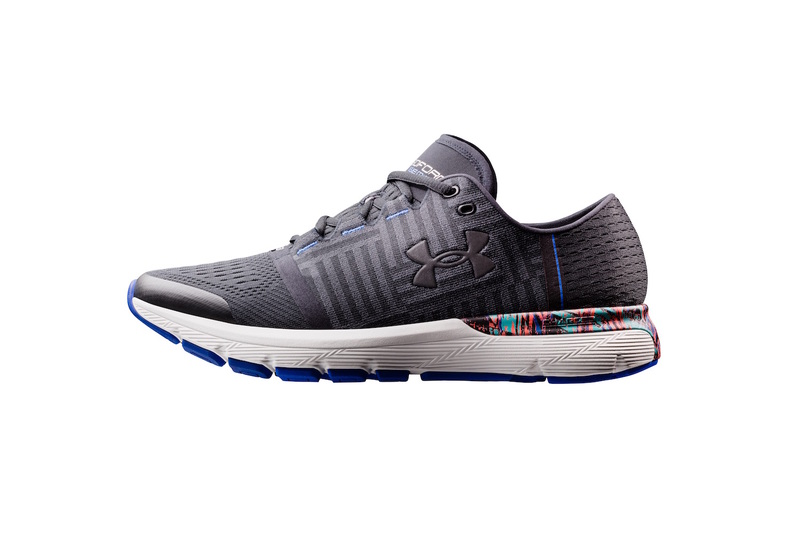 When it comes to the technology, we turn to the UA Record Equipped, a smart feature within the footwear that extends the tracking capability of MapMyRun by providing detailed workout stats, such as cadence, real-time pace information and the mileage lifetime of the shoe with the added benefit of never needing a recharge. These are the kind of tech features that will arm runners not only with automatic tracking capabilities, but also with insights into their muscular fatigue prior to working out. Working together with the technology in the connected shoes is MapMyRun, Under Armour’s mobile app and global digital running community. 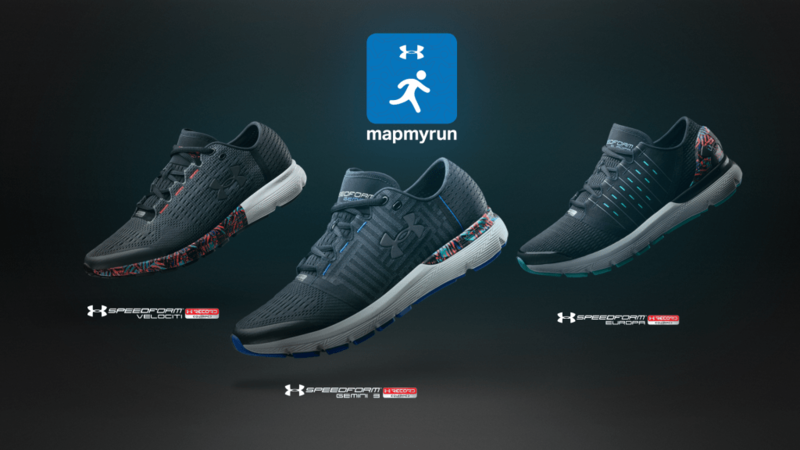 MapMyRun, which you can download at the App Store or Google Play™ store, exclusively powers the new line of connected footwear with a new performance feature called the Jump Test, which scientifically measures and elevates the awareness of an athlete’s muscular fatigue level. Once connected to MapMyRun, the technology embedded in the shoes will measure and average the airtime of a sequence of jumps as an indicator of muscle fatigue. This mechanism helps track an athlete’s recovery status over time and provides immediate guidance on how to alter the intensity of a workout. The new MapMyRun experience also includes a runner’s dashboard, performance scorecard, and the gear snapshot with the shoe’s total mileage, steps, and average cadence while training. With footwear as a major growth driver for Under Armour, 2017 is the year that the company plans to more than double the number of units of their Connected Footwear worldwide. Those interested in investing in a pair of their smart shoes, note that the entire line of UA Record Equipped running footwear will become available for pre-order on UA.com from 5th January 5th 2017. With prices starting from $139.99, each order will include an annual MVP subscription to MapMyRun with access to training plans, audio coaching, live tracking, advanced analytics, as well as multi-language VIP support. Showing such promise, we look forward to being up close and personal with Under Armour’s performance based footwear at CES 2017. Should you want to see these connected shoes for yourself too, then we will see you at booth #43912.